I discuss the following: The causal closure of classical physics implies that consciousness in a classical physics brain can at best be epiphenomenal. Quantum mechanics can break the causal closure of classical physics in two ways: measurement and a newly discovered Poised Realm. Conscious experience may be associated with quantum measurement. Here quantum mind has acausal consequences for the classical brain. I propose genetic experiments to test this. Entanglement may solve the “binding problem.” I believe these proposals unite mind and body in a new way and answer Descartes after 350 years of the Stalemate introduced by his dualism of Res cogitans and Res extensa. It is a pleasure to write in honor of Henry Stapp, who has struggled brilliantly with mind body and quantum mechanics for many years. I wish to discuss a large, interwoven set of topics pointed at in the title above. Much of what I say is highly speculative, some is testable, and some is, at present, surely not. What I shall say assumes quantum measurement is real. In our contemporary neurobiology and much of the philosophy of mind post Descartes, we are classical physics machines and either mindless or mind is at best epiphenomenal and can have no consequences for the physical world. The first main point of this paper is that we are not forced to this conclusion, but must give up total reliance on classical physics. We all know Newton, his three laws of motion, universal gravitation, and invention of differential and integral calculus. Given seven billiard balls rolling on a billiard table, we might ask Newton what will happen to the balls. “Write down the initial conditions of position and momenta of the balls, the boundary conditions of the edges of the table, and the forces between the balls, and the balls and the edge of the table using my three laws of motion in differential equation form. Then, to find out what will happen to the balls in the future (or past, my laws are time reversible), integrate my differential equations to obtain the trajectories of the balls (for all time in the absence of friction).” But, I note, integration is deduction of the consequences of Newton’s differential equations for the trajectories of the balls, and deduction is “entailment.” “All men are mortal. Socrates is a man, therefore Socrates is a mortal.” is a syllogism whose conclusion is logically entailed by the truth, if so, of the premises. So too the trajectories are entailed by integration of Newton’s differential equation. But this entailment sets up the Stalemate. If the brain is a classical physics system, then the present state of the classical physics brain is entirely sufficient to determine the next state of the brain. But then, there is “nothing” for mind to do, and “no way” for mind to do it! It would be like asking mind to alter the trajectories of the balls on the billiard table. Thus, if mind somehow is present in a classical physics setting, it can have no consequences at all for the classical physics world. At best, the mind can be merely epiphenomenal and witness a world it cannot change. (We might wonder if mind exists and is merely epiphenomenal, and if mind with a brain evolved, what selective advantage could it have had?). The culprit is the causal closure of classical physics with, as Aristotle said, no Prime mover. The Stalemate arises because we want mind to act causally on the brain, but it cannot because all the classical physics causes are already in the laws of the billiard ball classical physics neuronal system and attendant classical physics further variables including classical physics noise. If we hope for a more than an epiphenomenal mind, we must go beyond classical physics. I begin with a familiar outline of Quantum Mechanics (Heisenberg 1958; Penrose 2005; Feynman et al. 2010). (1) We all know the two-slit experiment and the resulting interference pattern of spots on the developed film emulsion beyond the two open slits. (2) We know the Schrodinger linear wave equation, often set equal to a classical potential V. The left-hand side of this equation has no energy term, so what is “waving” cannot be matter or energy. No one knows what is “waving.” (3) We know the Born rule: square the amplitude of each wave, say spin up or spin down, in superposition, and that is the probability that upon measurement that outcome will be found. We know there are some 16 interpretations of Quantum Mechanics, in which measurement is real in some and not others. As noted above, I assume measurement is real. (4) Finally, we all know the astonishing confirmation of non-locality for entangled quantum variables that are space-like separated (Penrose 2005; Maudlin 1994). Gabor Vattay, Samuli Niiranen, and I have recently proposed, or perhaps discovered, a new “Poised Realm” (U. S Patent Application Publication 2012), in which the total system can hover reversibly between quantum coherent and “classical” worlds “for all practical purposes,” with the known debates about what the classical world may be. The Poised Realm is captured by an XY coordinate system. At the origin on the Y-axis, the system is quantum coherent. As the system moves up the Y-axis, the system undergoes increasing decoherence as an open quantum system acausally loses phase information to the environment and approaches “classicality” infinitely closely for all practical purposes, FAPP. What is new on the Y-axis is that recoherence can occur and move the system back down the Y-axis from “classical” FAPP to quantum coherent. The possibility of recoherence is assured by a theorem by Peter Shor (DiVincenzo and Shor 1996), now in use for quantum error correction in decohering qubits with the input of “information.” More recently, quantum biology at body temperature is firmly established in the long-lived quantum coherence of light harvesting molecules. Even more recently, experimental evidence supports recoherence induced by phonons in the light harvesting complex that induce recoherence in the electron involved (Vivek et al. 2012). The Y-axis seems real in theory and practice. The X-axis is Order, Criticality, and Chaos, going out from the origin. In classical physics, this arises as a set of Hamiltonians which are tuned from a conservative oscillation like a pendulum, where neighboring orbits are parallel and the Lyapunov exponent is thus 0, to a critical point out the X-axis where the Lyapunov exponent undergoes a second-order phase transition to become slightly positive at Criticality, then more positive in the Chaotic parts of the X-axis. In the quantum coherent world, criticality corresponds to the metal-insulator transition between extended (conducting metal) and localized (insulating) wave functions. The X-axis is also real. Vattay and colleagues (Vattay et al. 2015) have now measured the absorption spectra of the energy difference between adjacent absorption bands, at smaller and larger energy intervals, for each of many organic molecules. The ordered regime corresponds to a well-known exponential decay, with adjacent energy bands at short energy intervals to a few at long energy intervals. The chaotic regime is a unimodal distribution from random matrix theory. Here, most adjacent energy intervals are of modest size. Quantum criticality corresponds to a different unimodal distribution whose peak is at shorter energy differences between adjacent absorption bands (Vattay et al. 2015). The results are astonishing (Vattay et al. 2015). Almost half the organic molecules examined are ordered, and almost half are critical, a single point on the X-axis. A few are chaotic. A number of known proteins are critical, a single point on the X-axis, and a few, such as silk, are ordered. DNA and RNA are ordered (Vattay et al. 2015). In short, the X-axis is real. Since both the X- and Y-axes are real, the Poised Realm is real. If we accept decoherence to classicality FAPP, then decoherence is entirely an acausal loss of phase information from the open quantum system to the universe. So a quantum “mind,” by decohering, can have acausal consequences for the classical FAPP meat of the brain, breaking the Stalemate of the Causal Closure of Classical Physics. But by recoherence, the total mind-brain system, jointly quantum, poised realm, and “classical” can have repeated acausal consequences for the classical meat of the brain. The second way that the above system can have acausal consequences for the “classical’ meat of the brain is quantum measurement which acausally can restore coherence in a decohering quantum variable, or, again if measurement is real, it does acausally alter the classical world by leaving a record, as the spot in the two-slit experiment does (Kauffman 2016). In short, a mind-body system that is quantum coherent, Poised Realm, and “classical,” can escape the Stalemate. Mind can, in principle, be real in the world and effect its becoming, and not be merely epiphenomenal. This proposal hopes to “Answer Descartes” after 350 years of the Stalemate. Along with Penrose and Hameroffs’ (Penrose 1989) Objective Reduction for measurement accompanied with flashes of consciousness at measurement but no “doing,” hence an epiphenomenal panpsychism, and Stapp’s detailed developments (Stapp 2007), but for overlapping reasons, I want to propose that conscious experience, qualia, is associated with quantum measurement. I do so in part based on the fine discussion of the Quantum Enigma (Rosenblum and Kuttner 2006). The anatomical location of such “mutant” proteins can be established. In short, we can envision a truly new “genetics” of the molecular correlates of consciousness. Are the mutant proteins located in neurons? If so, where? Where else may they be located? Suppose the relevant proteins were located in synapses and part of the post cleft neurotransmitter protein receptor complex. Then one can imagine that quantum behaviors altering the receptor protein(s) could affect adjacent dendritic trans-membrane potentials, the subsequent potentials transmitted to neural cell bodies and summing, or not, at the axon hillock to trigger action potentials propagating down the axons. In the Astonishing Hypothesis, Francis Crick describes the binding problem (Crick 1995). We are to suppose that a yellow triangle and blue square are being observed. If yellow, blue, triangle, and square are processed in anatomically disconnected areas of the brain, a claim I will accept, then how do yellow and triangle become bound into the experience of yellow triangle and how do blue and square become bound into the experience of blue square? One suggested solution is a 40-Hz EEG oscillation in the brain and if yellow and triangle occur at one phase of the oscillation and blue and square at a different phase, then binding occurs to yield yellow triangle and blue square. This might work. My skepticism is that we seem to bind indefinitely many, here visual, qualities or features in different “bound sets of qualia” and fitting them all into “distinguishably” different phases of the oscillation seems problematic. I want to suggest entanglement to solve the binding problem (Kauffman 2016). There is now weak evidence for entanglement of a number of quantum variables, including photons, in cells and the brain. Suppose that some set of N quantum variables in the brain can become entangled and may even be in anatomically disconnected areas of the brain. Then it is known that upon measurement, their outcomes are correlated and more correlated as the number of entangled variables increases. Thus the qualia upon measurement may be highly correlated into a new “whole.” This could mediate “binding” in both anatomically connected and also in disconnected areas of the brain in ways that also respect neuroanatomical connectivity. In principle, this is testable. Do we know mind is in part, Quantum? No. Can we do real experiments to test the hypothesis? Yes. It is just stubborn to fail to consider how quantum mechanics may be related to the mind-body problem. I have tried to show that we can only have an epiphenomenal mind if we base mind on classical physics. This is due to the causal closure of classical physics. Quantum Mechanics and the Poised Realm afford two ways, decoherence and recoherence, and measurement, by which a “quantum mind” can have acausal consequences for “classical” brain and body. This answers Descartes. The Poised Realm is almost surely real. Thus, mind can be beyond the Stalemate and more than epiphenomenal. 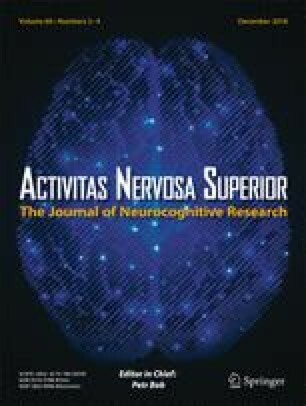 I have suggested on these grounds that conscious experience is associated, testably, with measurements by genetically identifiable molecules in the brain, whose post measurement behaviors, say in synapses, might testably affect nearby trans-membrane potentials in dendrites, hence axon firings, and then standard neurobiology. The entanglement possibility can hopefully solve the binding problem. None of the discussion of quantum mechanics alone leads to experiential terms, but see Penrose’s Shadows of the Mind (Penrose 1989), Conway and Kochen’s Strong Free Will Theorem (Conway and Kochen 2006), and my Humanity in a Creative Universe (Kauffman 2016). My discussion here, however, seems to lay ontological quantum foundations for mind acting acausally on matter in the mind-brain problem. The author is grateful to Avshalom Elitzur, Ruth Kastner, and Michael Epperson for fruitful discussions.